If you can't tell, I love documenting these runs. As I type, I just picture myself 40 years from now reading about these adventures and reliving the experience all over again. So the PPM course I talked about on Monday follows the Barr Trail up the peak. I've been reading a 12 page course description for a few weeks now. The course features many distinct parts that are separated by landmarks. 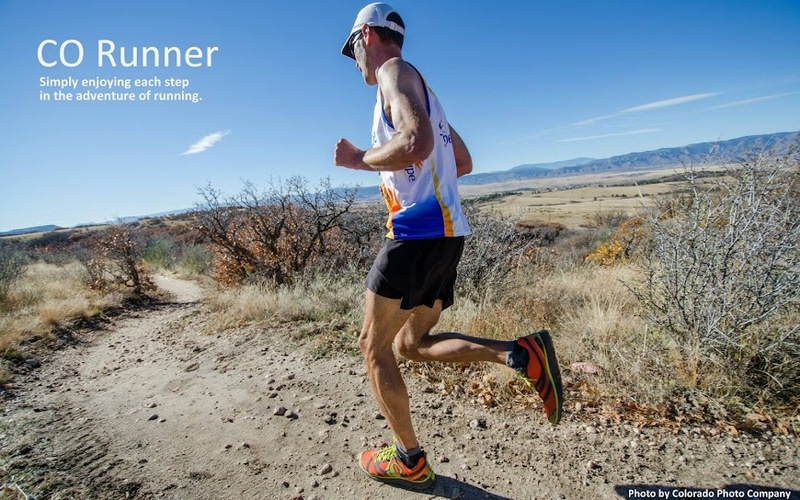 The guide talks about these parts and how you should plan on running them. Quite honestly, it's a little overwhelming to read and try to visualize what you're going to do on marathon day. The lightbulb went off and I decided to head down to Manitou Springs early last Saturday morning and attempt running the first half of the trail. I was on the road at 3:30am, drove through a herd of elk, and arrived at the trailhead an hour later. I got there a little too early as I had to wait about 20 minutes for the sky to lighten up a bit. Once I started, the words I had been reading seemed to come alive as I came across The W's, The Rock Arch, No Name Creek, 7.8 to summit sign, and finally Barr Camp. 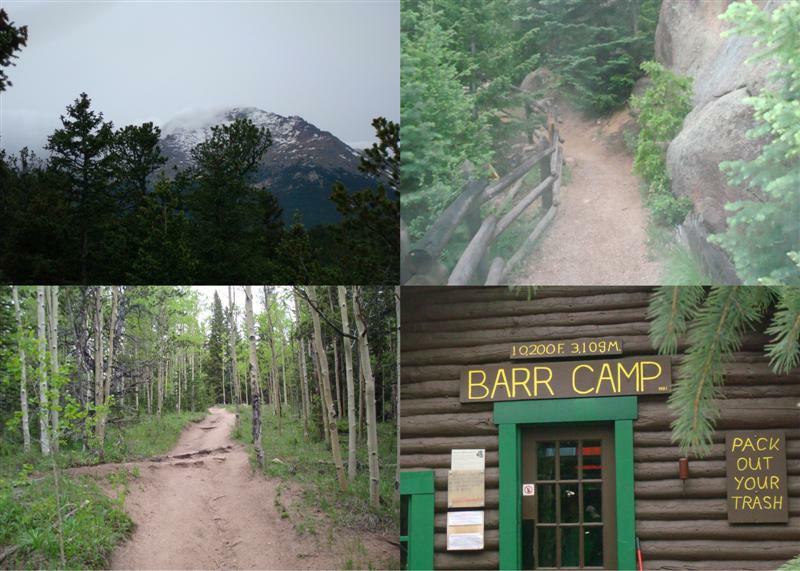 Barr Camp is the halfway point of ascent portion of the marathon after climbing 3900' from Manitou. I felt great getting up there, but the thought of going another 3900' over six miles to reach the summit was daunting. The day was overcast, cool & windy. I stopped and talked with several hikers that were heading to the summit. I sure hope they made it, but I have my doubts. The summit shot above was the only time I saw it the whole morning. As you can see, there is still quite a bit of snow, and I can only imagine how much more nasty the wind was up there.